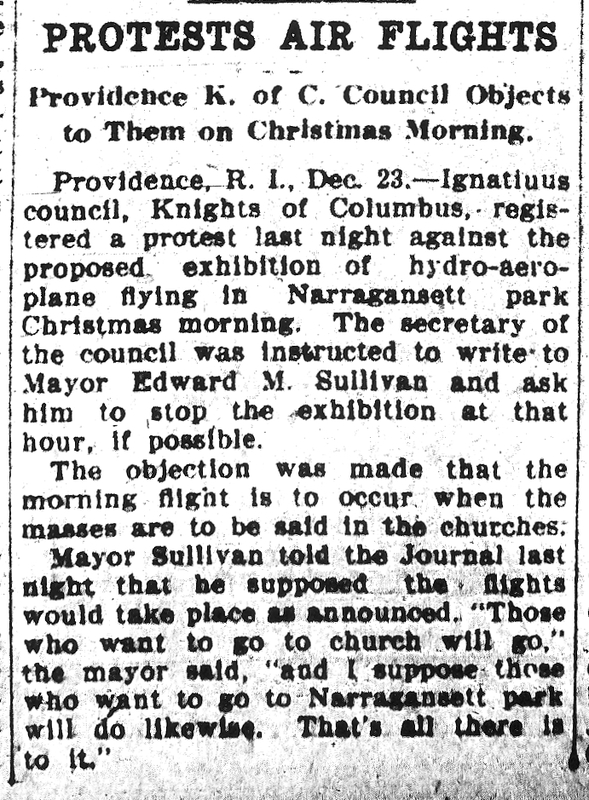 On December 23, 1911, it was reported in the (Woonsocket) Evening Call newspaper that the Providence (RI) Council of the Knights of Columbus had registered a formal complaint against an aerial exhibition involving a “hydro-aeroplane”, scheduled for Christmas morning at Narragansett Park. 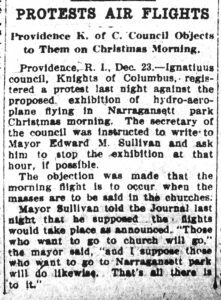 A letter was sent to Mayor Edward M. Sullivan asking that the air show be postponed until later in the day after church masses had been held. Mayor Sullivan told the press that the flight would likely take place as scheduled.